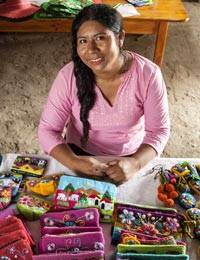 Peruvian artisan Balvina Huaytalla designs this elegant clutch. Crafted of alpaca blend material, the irresistible handbag features a body of magenta with elegant floral embroidery that is performed by hand. It opens with a zipper to a cotton blend lining.